There's usually little to remark about a place's carpet. Unless it's a brain-frying casino pattern, carpet is... carpet. It sits there. It soaks up dirt, dander, and urine. Sometimes it's beige. 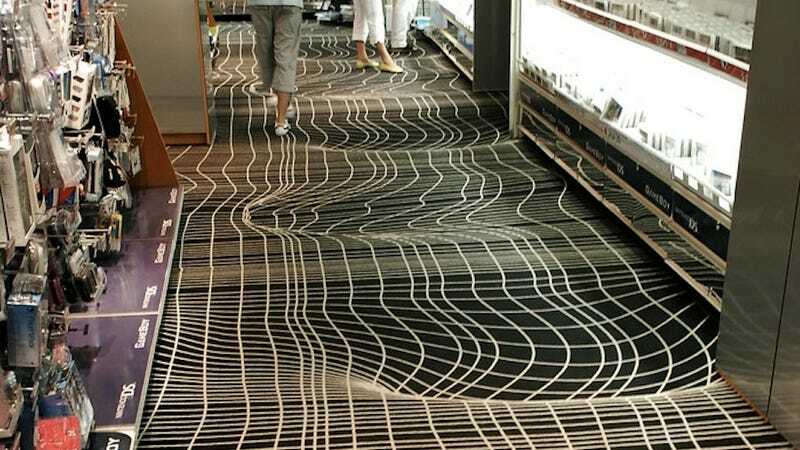 But not this carpet, which bends the space-time continuum.